Entrepreneurship is still regarded by many as in the theory building stage, which has led to some commentaries to suggest that the field is fragmented and at a nascent stage of development. Developing a critical and constructive position towards current theories, methods, assumptions and beliefs, the book seeks to question the prevailing assumptions currently dominating entrepreneurial researching and practice. The book brings together leading thinkers, practitioners and researchers in the field to draw upon new theoretical perspectives and approaches as a means of illustrating the inherently social and contextualized nature of entrepreneurial practice, and advance the manner in which we critically think about and engage with various aspects of entrepreneurial practice and development. 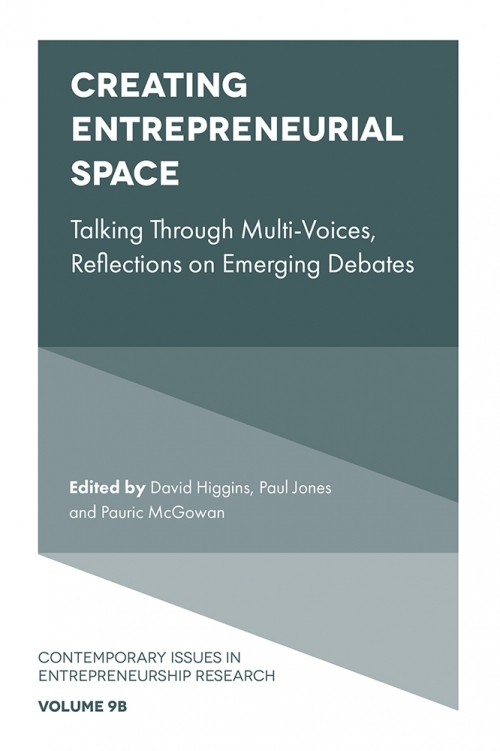 Including a unique combination of studies that illustrate critical perspectives of current entrepreneurship research, the book covers a broad spectrum in terms of topics and approaches, as well as in terms of diversity and critique in their perspectives towards entrepreneurial practice and scholarship. David Higgins is Lecturer in Management at the University of Liverpool. His research interests lay in the fields of SME and entrepreneurial learning through action. Paul Jones, PhD, is Professor of Entrepreneurship and Innovation at Swansea University. His research interests include entrepreneurship, small business management, information technology and entrepreneurship education. Pauric McGowan is Professor of Entrepreneurship and Business Development at the Ulster University Business School. His research interests include the areas of technology entrepreneurship and entrepreneurship pedagogy.